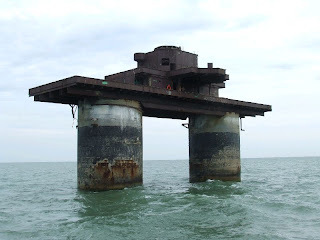 Fort Knock John is one of a series of Maunsell Navy Forts located in the Thames Estuary. 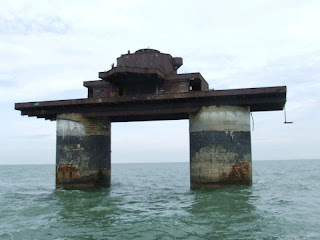 It was constructed in 1942 and armed with two 3.75" guns and two 40mm Bofors guns. 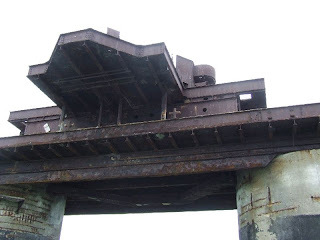 It takes the form of an iron gun platform mounted on two concrete pillars. 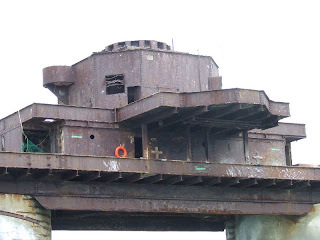 The fort is now abandoned and in a poor state. 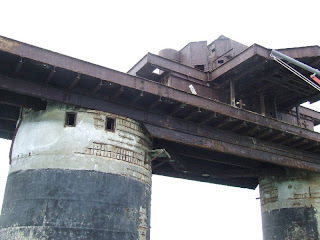 Non-boarding boat tours are available to Fort Knock John from the X-Pilot boat. 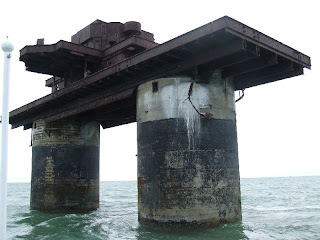 look kool be great to be up close to it then just seeing it as a photo has anyone got any idea of how deep is the water its in?